Precognitive dreams are dreams that appear to predict the future through a sixth sense; a way of accessing future information that is unrelated to any existing knowledge acquired through normal means. Let me give you an example of what many people would deem as precognition, but is actually quite simply explained. Mary has a dream that she is pregnant and three weeks later discovers that she is pregnant in real life. This is not really a psychic dream because Mary had access to plenty of subconscious insight: her body gave her subtle signals, and she knew she had been trying to conceive. We all have intuitive dreams like this. They express our innermost hopes and fears based on subconscious information that we may or may not be repressing. There is nothing paranormal about Mary’s dream. Indeed, to be deemed a truly precognitive dream with paranormal roots, we need to access unpredictable information about the future. And that is one reason why precognition is hard to prove. Here is another – and it’s all about numbers. When the Titanic sunk in 1912, hundreds of people came forward with reports of psychic dreams about the demise of the great ship. Amazingly, it was possible to validate at least 19 of them, including one date-stamped letter. Does this prove that psychic dreams are real? Alas, no. According to Robert Todd Carroll, author of The Skeptic’s Dictionary, having dreams that predict the future is all a numbers game: there are 6.5 billion people on this planet, each having an average of five dreams per night. In turn, those dreams support multiple dream themes, such as sinking ships or airplane crashes. It is therefore highly likely that many thousands of people will dream about a sinking ship on any given night. How often have you dreamed about your own death? You could say that this is an unlikely event, made even more unlikely if you then go and die soon after. This is exactly what happened to Abraham Lincoln. In 1865, two weeks before he was shot dead, Abraham Lincoln had a psychic dream about a funeral at the White House. In the dream, he asked someone who was in the casket and they replied, “the president of the United States”. He told his wife about the dream but neither of them took it to heart – for on the night of his assassination he gave his bodyguard the night off. The American writer, Mark Twain, and his brother Henry once worked on riverboats on the Mississippi. One night Mark had a dream about his brother’s corpse lying in a metal coffin in his sister’s living room. It rested on two chairs, with a bouquet and a single crimson flower in the center. He told his sister about his dream. Weeks later, his brother was killed in a massive explosion on a riverboat. Many others died and were buried in wooden coffins. But one onlooker felt such pity for young Henry that she raised the money for an expensive metal coffin. At the funeral, saw the coffin as it was in his dream. As he stood over Henry’s casket, a woman placed a bouquet with a single red rose in the middle. At face value, these are both compelling cases of precognitive dreaming. But mathematics could still reduce these events to mere coincidence. The only way to build up a solid base of evidence for psychic dreams would be to consistently record every dream, and have a separate person record all the significant world events of the following day, then compare the data. Even so, matching this data would be a difficult and highly subjective task. Like all psychic predictions, I find the idea of precognitive dreams requires far too much blind faith. After all, many of our dreams are too interpretive and scattered to make sense of the future information we’re supposed to be receiving. What are this Saturday’s winning lottery numbers? What will be the NASDAQ’s best performing stock tomorrow? What will be the flight number of the next major commercial plane crash? If there were any substance to precognition, this would be a fantastic way to build evidence for it. We could limit our dream themes (predictions) to one per night – and ask for clarification in as much detail as needed. 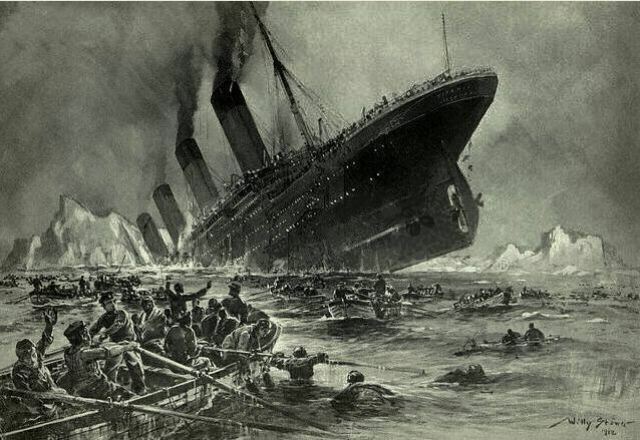 For example, a lucid dreamer could predict the sinking of the Titanic by asking for the name of the ship, the number of people on board, the number of victims, and the time and location that the ship would go down. Having access to such explicit information would leave little doubt as to the existence of precognitive dreams. This sort of anecdote doesn’t really help us. If anything, it casts more doubt over the reliability of so-called psychic dreams, and may even hinder genuine attempts to investigate the nature of any subconscious sixth sense while dreaming. If nothing else, we can gain future insight from our lucid dreams by taking advantage of the subconscious intuition principle I mentioned earlier. If Mary had a subconscious inkling that she was pregnant, it would be quite easy to ask her lucid dreaming self whether this was the case. Other lucid dreamers, while talking to their subconscious self, ask for personal insights that would otherwise go under the conscious radar. It’s a great way to get to know your subconscious mind.